Songwriter, guitarist, painter, fiddler, slide player, and believer in all things possible, Joe Crookston is a master storyteller on the creative edge. His music swirls with themes of lightness, darkness, clocks ticking, fiddle looping, weeping willows, slide guitar bending, cynicism, hope, and the cycles of life and rebirth. With unwavering courage to be himself, he is literate, poignant and funny as hell. Whether he’s picking his 48 Gibson, weaving through lap slide songs, or looping his fiddle, he will draw you in. He lives in Ithaca NY, and tours regularly in the US, Ireland and Canada. 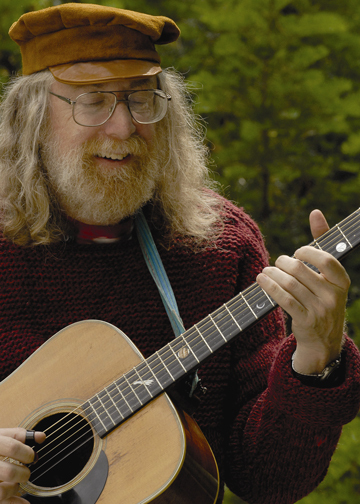 Joe has taught at many retreats including SummerSongs, The Swannanoa Gathering in North Carolina, and the Yearly Quaker Gathering in Rhode Island. He was named the 2016 Folk Alliance International Artist-in-Residence. 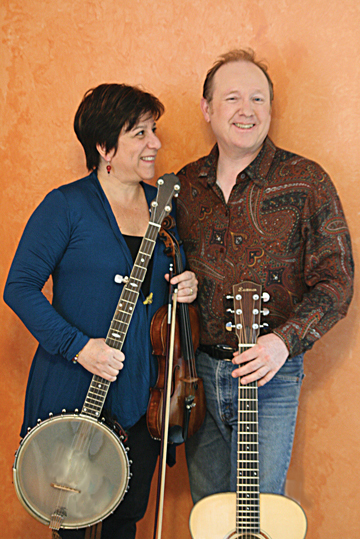 Husband and wife duo, Jane Rothfield and Allan Carr have been playing their unique blend of traditional and original Celtic and Appalachian style music for over 30 years. Allan Carr was born and raised in Aberdeen, Scotland a region known for its rich musical traditional musical heritage. He began singing traditional songs in his teens, learning from such source singers as Jeannie Robertson, Lizzie Higgins, Jimmy McBeath and Stanley Robertson. Allan performed regularly at the Aberdeen Folk Club and won numerous traditional singing competitions throughout Scotland. In 1978, Allan met Jane Rothfield while she was studying at Aberdeen University. Jane is an award winning fiddler, clawhammer banjo player and tune composer with deep roots in the fiddle traditions of New England, Scotland and the American South. The combination of Allan’s traditional Scottish singing and Celtic guitar style melded perfectly with Jane’s Old Time fiddle and banjo and clear voice and with innovative arrangements created a unique sound not heard on the folk scene at the time. In the early 80’s they moved to Edinburgh, Scotland and toured extensively appearing at folk clubs and festivals in the UK and USA. 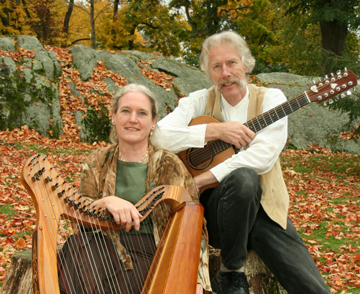 Allan and Jane moved back to the US in 1988, performing at festivals and concerts throughout the Northeast. In 2008, they formed Red Hen Stringband, an American Roots Old Time Band, and then, following a move to the Philadelphia area in 2009, they formed Coracree with tune composer and multi-instrumentalists (and dancers) Bill Quern and Sarah Gowan. Coracreee plays for Contra Dances throughout the East Coast and also for concerts adds a strong repertoire of original and traditional songs from the Scottish and Old Time tradition. If you’ve been around the folk scene, you couldn’t miss seeing Mike. Tall, ginger beard, and always around where the music is. He’s been on the scene for many many years, listening to the fine details of what makes this genre of music so special to the soul, so able to make us laugh and cry and think. And lucky for us all, he got serious about having fun at it. Equally at home in the contemporary and traditional camps of the Folk world, he is a fine musician and storyteller. His prime instrument is the guitar, upon which he shines with intricate finger-style arrangements of anything from Tin Pan Alley tunes of the ’20s to fiddle tunes to his own music. He also plays concertina, piano, banjo, or sings a cappella. He can be uproariously funny, contemplative, and powerfully emotional in the space of a few minutes. Not so much a singer-songwriter as a “singer-songfinder”, Mike takes great delight in discovering the little-known hidden gems, polishing them with his own distinctive style, and bringing them to the light of day where they sparkle. The man will capture your attention, and then your heart. 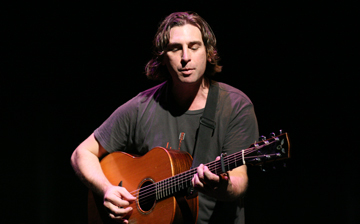 Not only a performer, Mike is involved in presenting folk music as well. He is one of the prime movers of The Folk Project, New Jersey’s oldest and strongest folk music organization. For over two decades he has been chairman of that organization’s Minstrel Coffeehouse, one of the longest-lived folk venues in the country. Julia Lane and Fred Gosbee are Castlebay. Castlebay has toured the eastern US, Maritime Provinces, Great Britain and Ireland. Over the years they have met and collaborated with many fine Scottish musicians including members of Heritage, Geordie MacIntyre, Alison MacMoreland, Stravaig, and the late Lionell McClelland. While much of the Scottish music they perform is traditional, they have also been moved to write major pieces about places they have visited including the Isle of Skye and Dumfries & Galloway. Julia Lane has loved, sung, researched and created folk music since childhood. Growing up in New England, she studied music theory and took guitar lessons from a lutenist specializing in Elizabethan songs and flamenco. She became active in madrigal and Renaissance music groups, played as a soloist and provided music for a children’s theater group. Fred Gosbee currently sings and plays classic and 12-string guitar, viola, fiddle, and Irish flute and tin whistle and enjoys experimenting with both traditional and ethnic instruments. (He has been known to elicit music from a squash vine). Fred is also a skilled technician and woodworker. When he is not touring, he engineers and produces recordings as well as designing and building Celtic harps and other instruments. North America's longest-running live folk concert broadcast. Sunday nights on WVBR 93.5 FM, 8-11 pm EST. Thanks to Newforce Solutions for hosting this site, and Jim Harper Designs for designing it!